Everyone who goes to Australia ends up sometime in Melbourne, and is normally glad he/she did. There are plenty of reasons: the vibrant downtown, pleasant suburbs, redeveloped docklands, nearby beaches and the Yarra River winding its way inland. The landscape is fairly flat, but with enough small hills to add a challenge. And the abundant parks and riverside provide a perfect spot to discover the town's quieter corners. So, if you're looking for a great spot to run in Melbourne, here are the seven best routes in town. Tan Track: This is Melbourne's most popular running route, pretty full of runners most evenings and weekends. And once you see the beautiful setting, looping the botanical garden, you'll know why. Join the crowd for one great run! 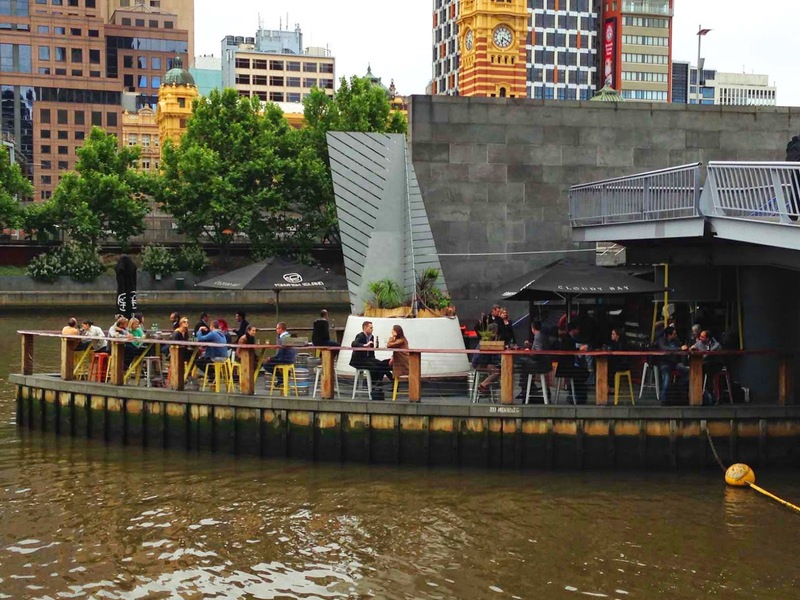 Yarra River run, City Center: The riverside in downtown Melbourne is a lively promenade full of restaurants, bars, a casino and lots of people just enjoying the beautiful waterside scene. This route follows both sides of the river. Fitzroy Gardens: Here's a short run at the east end of the city center, next to the state parliament. Pleasant parkland in every direction. Albert Park / St. Kilda Beach: On the south side, Albert Park is full of recreational fields and lawns, surrounding a big lake. Combine that with a stretch of nearby St. Kilda Beach, and you've got a lot of open scenery, not so far from the downtown bustle. Williamstown: This was the original harbor part of town, surrounded by water on three sides. There are pleasant, quiet neighborhoods, a big marina and lots of waterside parkland. If you like waterfront running, this is the place to be. Yarra Bend trail: Here is a trail far from the city. It follows a wooded trail along the Yarra River, east of town. This is the place to get a feel for real Australian countryside. Carlton / Fitzroy run: This route takes you through Melbourne's coolest neighborhoods: through Carlton and the University, then back through Fitzroy and a bit of Brunswick Street, the city's hippest entertainment district. I'll write it up soon! !